Mark Millar is set to launch his second Netflix comic – "Prodigy"
It’s apparent that Mark Millar is just getting started with expanding his mark on Netflix as news surfaces of a new comic to launch alongside The Magic Order. It seems Millarworld is in full effect, having struck a deal with Netflix to produce content for the streaming service. 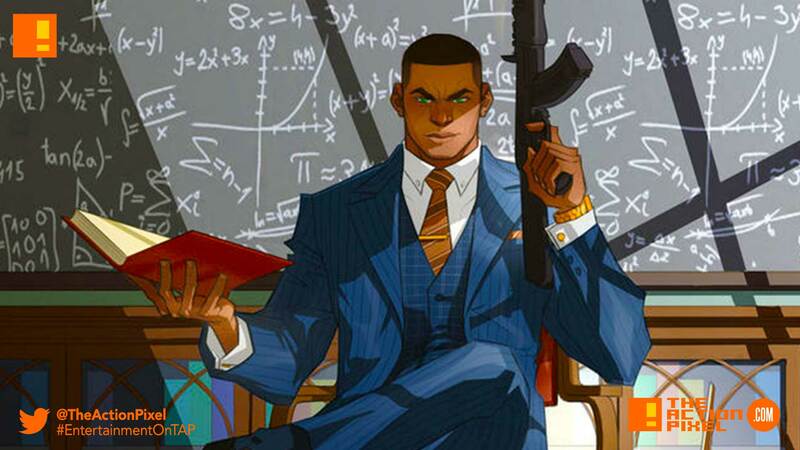 The new comic series set to be launched by Mark Millar is entitled Prodigy. His brilliant mind needs constant challenge and so he’s become the go-to guy for governments around the world when a problem arises they just can’t handle. A Nobel Prize-winning scientist, a genius composer, an Olympic-level athlete and an expert in the occult, Edison Crane is as addicted to the mysteries of the world as he is to sitting at the top of the Fortune 500. These are the tales of the world’s most exceptional man and this story marks his first published adventure. The project is written by Millar with art by Rafael Albuquerque. I wanted to write the smartest thing I’ve ever written and at the same time top any action set pieces I’ve ever managed in the past and I honestly couldn’t be happier with how this has turned out. Edison Crane is by far the best character I’ve created in my career and I’m delighted that my genius friend [Rafael] Albuquerque is drawing the comic book side of all this. He’s really one of the best artists in the world.